Coconut oil is one of nature’s most powerful forms of nutrition. Mothers’ milk is considered the most perfect food on the planet for human consumption due to its ideal nutritional content and immune boosting compounds. The closest match in nature to mothers’ milk is found within the coconut. This tropical staple is loaded with many powerful fatty acids that give it a unique taste and an abundance of health enhancing benefits. So how much coconut oil should you consume daily? Coconut oil enhances every bodily system. It is most renowned for its ability to dramatically boost immunity through the presence of medium chain triglycerides (MCT’s) like lauric acid (1, 2). When the body consumes lauric acid it is metabolized into a monoglyceride called monolaurin. Monolaurin liquefies microbial fatty cell membranes causing them to disintegrate. It is quite possibly one of nature’s most powerful anti-microbial agents (3, 4, 5). Coconut oil also helps to balance hormones, stabilize blood sugar levels and boost the cellular healing process (6, 7, 8). It is also known to stimulate the thyroid and reduce stress on the liver, pancreas and digestive system. This increases metabolism which helps us burn fat far more effectively while stimulating clean sources of energy that make us feel terrific. The minimal daily dose of MCT’s in coconut oil you should consume should be equivalent to what an infant will receive through human breast milk. The amount that infants consume helps to build their natural immune response to protect them from infectious illness while providing the nutritional support to help them grow and mature correctly. Based on body size, an average adult of 150 lbs should consume about 3 ½ tablespoons of coconut oil daily. This amount also includes coconut oil derivatives such as coconut milk, coconut butter and MCT oil. I explain the translation of these at the bottom of this article. Taking this amount of coconut oil for your body weight should be enough to benefit from the MCT’s. Fortunately, the immune boosting and anti-microbial effects of MCT’s are accumulative (9). This means that in many cases more is better. You can easily take twice the maintenance dose and do great. Many natural health doctors who understand the health benefits of coconut will recommend a tablespoon of coconut oil every 2-3 hours for their very sick patients. This coconut oil could be delivered transdermally by applying it on their skin or orally through their mouth. Many very sick patients gag when anything is put into their mouth…so expect to rub it into their skin. Try to cover as much of their body as possible and especially over major areas where sickness exists. If someone has a respiratory infection, rub the coconut oil over their throat and chest regions so it will affect these regions first. Because coconut oil is a super food and not a drug there is no danger of overdosing on coconut oil. Many tropical populations have consumed twice as much as the maintenance dose on a daily basis throughout their lives with no side effects. Dr. Bruce Fife, N.D. claims to have taken up to 14 tablespoons a day with no problems. Coconut milk is another incredible way to add the MCT benefits into your daily life. Coconut milk is very rich and creamy. It is fantastic in a berry shake, mixed into hummus, guacamole, rice dishes, and soups. Be sure to get the regular or full fat milk in a glass container or can and not the light or carton based varieties. Look for organic varieties without preservatives. One full can supplies roughly 12 oz of coconut milk which is equivalent to 4 tablespoons of coconut oil. If you are using MCT oil than it is a 2:3 ratio. Coconut oil is 2/3rds MCT so the MCT is simply a more concentrated form. If you are using coconut butter than it is a simple 1:1 ratio, so if you use 1 tbsp of coconut butter daily than that replaces 1 tbsp of coconut oil. Coconut Flour Conversion: 1 cup of coconut flour is equivalent to 1 tbsp of coconut oil. So if you are baking with coconut flour or snacking on coconut flakes than you are getting more of these powerful fats into your diet. How do you prefer to get your coconut oil in each day? If you are looking for more options, here are some great coconut based, fat burning recipes to try out! What is EV coconut oil? Jeff! Thanks for the encouragement and congrats on the great health results and your commitment to maximizing your health potential! Many Blessings! While I have heard of the wonderous health benefits of Coconut oil and have been consuming such – my husband read Nutrition Action Newsletter, written by medical docs with PHD’s, that stated that the human body only needs a small amount of Saturated Fat and it gave a graph of all the oils and their fat contents. Of course, coconut oil was the worst and at the very bottom for Saturated Fat – so now he refuses to eat it because of the saturated fat content and what Sat fats do to the heart, etc. How do I explain to him about the Saturated fats in coconut oil and it’s benefits? Hey, you could show him all the articles I have on this website or just google search coconut oil and you will find tons of amazing information. 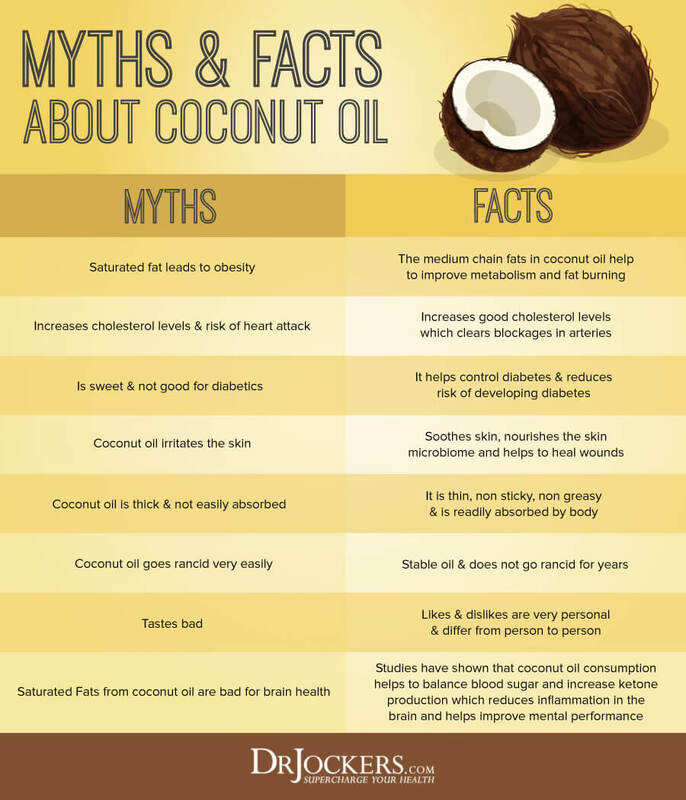 Unfortunately, those MD’s are quite outdated and not current on their literature or they would recognize the fantastic benefits of saturated fats – especially the small and medium chain in coconut oil! I just started a ketogenic diet with 70/25/5 ratio of fat/protein/carbs and 1,200 calories. My question is do I count the MCT oil calories if I start to consume 3½ Tbs =350 calories? Yes those are real calories, but I wouldn’t be concerned about them from a weight gain perspective. Weight loss is much more about hormone signaling then calorie deficits. Any suggestions for help with dry eye. I don’t have enough oil coming out of the oil glands though my eye doctor says I do have tears. I had dry eye for about 4 yrs. It was miserable. I am 66yrs old, so the eye Dr. said it was age. I read all the health articles I can, so I wasn’t buying that. I am gluten & dairy free. Had blood test to find my sensitivities. 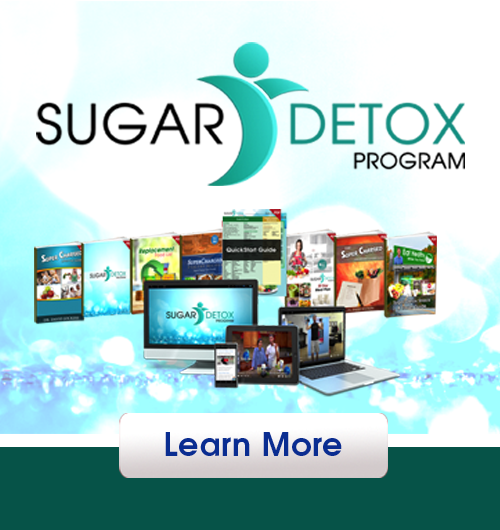 Eliminating these cured digestive problems I had for 28yrs. I read book called “Diet Wise”,real eye opener. One sentence in the book said if you have dry, red eyes it could be a sensitivity. I thought, I quit dairy but I switched to goats milk. So I quit the goats milk & have not had one problem for over a yr. It was causing inflammation. You just have to find out what your sensitivity is. Hope this helps. Don’t cans contain BPA and others? Dave there is nothing wrong with cartons, the coconut milk is very thin though and doesn’t contain much coconut fats. Many of the cans do have BPA, Native Forest is one brand that is BPA free. That was an amazingly quick response for early sat. am. aren’t there others beside BPA that are also in lings of cans that aren’t talked about much? Yes aluminum cans are not the best. But I think the benefits of coconut milk outweigh the negatives of the can. The carton variety does provide some MCT’s but it is watered down so it dosn’t have as much of the MCT’s per volume as the canned. Still a good product. Xanthum and guar gum are fiber based fillers. Most people do well with them but some individuals with digestive issues may struggle. If you notice gas and bloating with the coconut milk it may be due to the guar and xanthum gum being used as fuel by bad microbes. I would recommend reducing fruit content in your smoothie and try just a tablespoon of coconut oil. Coconut oil won’t make you gain weight but it could be too much at once for your GI system. Lots of fruit (fructose) will cause problems with blood sugar stability and negatively effect your hormones and liver which could lead to issues with weight gain. What a great article. Thank you! I am working on gaining weight and starting to eat coconut oil to help with hormones. Will eating the coconut oil cause me to lose weight? Thanks Melissa, no it won’t cause you to lose too much weight. The side effect of too much coconut oil would be digestive – nausea/vomiting and/or diarrhea. Very interesting article. I prefer raw coconut meat to the oil. Is there any difference from eating the raw meat on a daily basis compared to the oil? Both are great! The oil is a pure form of the coconut fats while the meat has a lot of good fiber and very small amount of carbohydrate in it. Very controversial subject–Quite an article just came out about plant based diets and cancer–avoid meats-eggs-etc. I get it that though a sat fat, different than animal fat. This is really not very controversial at all. The research on coconut oil and MCT is overwhelmingly positive. I was reading that coconut oil if not good if you have A and O type blood. Is this true as I love coconut but not sure whether or not to use it now? Hey Brenda, I have not seen any value in following the blood type diet recommendations! Dr.Jockers. I was wondering if you get any of the same benefits with coconut flour. I use it in my baking. Also where is the best absorption of the oil on the skin to receive the mct and lauric acid? Yes coconut flour has some of the good MCT fats so you would get some of the benefits! Dr. Jockers I have been told that coconut products slow down the metabolism. Is that outdated thinking as well? I would love to use more coconut oil but sure don’t want my metabolism to be any slower. Yes Sandie, that is very outdated. 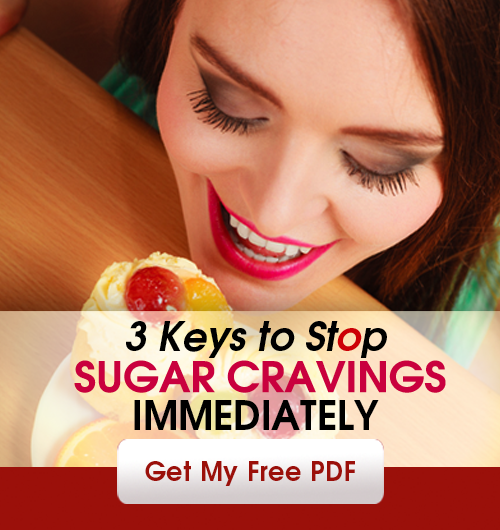 Coconut oil and MCT’s speed up the metabolism and turn on your fat burning switch! I have been wondering for quite some time how much Coconut oil is healthy to consume. Thank you, as this is very helpful. I appreciate your posts very much. Great recipes too! Incredible information about coconut oil. Apart from the other benefits coconut oil helps in controlling hormone level of body. Benign prostate hypertrophy is definitely a pathology of hormonal imbalance. Does coconut oil will help in Benign Prostate problem by balancing hormones levels? What is your expert opinion? Will your body absorb the calories in coconut oil if it is applied to the skin? Is this the same as orally taking it? Hey Carol, yes the body will absorb some of the calories transdermally (through the skin and directly to the blood stream) where it will be brought to the liver and cells for energy. Will coconut oil oil affect triglycerides and LDL in a negative way if they are already high?very scared they will get higher with consuming 3 tablespoons a day. Pluses total cholesteral. Or, is this just for people with normal cholesterol levels to begin with? Coconut oil will help to balance LDL:HDL cholesterol and lower triglycerides. It is GREAT for anyone with high cholesterol and trigylcerides. what about the guestion about o neg blood? I don’t agree with the blood type diet. I happen to be a blood type O and I thrive on coconut oil, avocados and other things that O types aren’t supposed to do well with. So I do not teach the blood type program. Dr. Jockers, what brand do you recommend? I get Spectrum expeller pressed, organic virgin coconut oil. USDA organic non gmo verified. Thank you for your help. That is a great brand Frank! Does it matter if the coconut oil is virgin or extra virgin? No, they are both the same when it comes to coconut oil. But definitely get it organic. Does coconut oil clog the lymphatic system? No Gerrie coconut oil will actually help improve lymphatics! The biggest things for moving the lymphatic system is daily physical activity. Dr. Jockers,,,I just had to get this out. I feel that in this climate of “fake news”, simple intelligence has not only taken a back seat, but has gone the way of the T-Rex. I was born in the British West Indies and for all my life coconut and coconut oil and all the other products have been a major part of my life and my diet. Why, please tell me WHY would anyone think that all the generations from Indonesia, India, Sri Lanka,Thialand, The Philippines, Malaysia, Brazil and South America in general, Fuji, Samoa Vietnam, Mexico, Ghana, China, CotedIvorie ( just to name a few) have no knowledge of the benefits of Coconut? These countries supercede America in knowledge, experience and i happen to know first hand,…Cuisine! I expect the AMA to soon try to ban Avacados! The very real worry is their financial bottom line, they are petrified that people will not need as many medications, their out of pocket will cease. Thank you for your website, Intelligence makes a difference if people wiill just NOT beleive the hype. Hey Elizabeth! I actually just wrote about the AHA’s recent statement on saturated fats. I agree, it doesn’t seem logical that we are seeing these kinds of statements against healthy fats. There are definitely some overlooked factors! Thank you for sharing your thoughts! I have started making my own oil, I blend the flesh than wash it in a bowl of water let it sit overnight than spoon the top layer off. That is than heated over a low heat removing the solid bits that settle on the bottom, once reduce the oil is strain through mutton cloth and there you have it. Would this be term as extra virgin oil ? Awesome Ivan! I am not sure what this would be considered. Not quite refined yet slightly heated. I know many companies use a cold-pressure technique to produce their virgin coconut oil. I would imagine your technique would fit the definition of virgin more than it would refined. Thanks for sharing this with us! Hello, is there any difference in nutrition between cold pressed coconut oil a d expeller pressed? Is one better than the other for us? Also, does one taste more like coconut than the other? And are they both safe to cook with? Hey Kerri! From my understanding expeller pressed oils are exposed to a higher processing temperature which gives it more of a “toasted” taste whereas cold-pressed taste more like pure coconut and are processed at lower temperatures. I would generally recommend sticking with the least processed form which in this case would be cold pressed. Both are still great alternatives to vegetable oils and are safe for cooking! i have buy a coconut oil 100% pure, non GMO and non hydrogenated, but its not organic. It is probably okay, ideally next time look for organic! I use refined/filtered coconut oil in cooking when I don’t want the coconut flavor. Does refined have the same nutritional benefits? Hey Vicky, both are excellent choices! Would having gastritis be a reason why my stomach hurts when i have more than a teaspoon of coconut oil? Hey Lisa, it could be a sensitivity or gallbladder issue! ……it doesn’t happen with olive oil. Yes I wouldn’t recommend drinking coconut oil, but doing several tablespoons daily can be very helpful for you! Ok great to hear that! Keep eating that coconut oil and coconut butter! Be Blessed! Thanks Dr Jockers, so at the end of the day, it’s still moderation that’s really important. hello from the coconut-producing country of the Philippines. Yes coconuts are fantastic for you. I would recommend consuming as I suggest in the article. So I’m confused should I take the maintenance dose or try to get to 14 tbsp a day of oil? Which is better or should I take more? It sounded to me like more is better. Please can you advise if the benefits of coconut milk and oil are the same? They are broth great sources of healthy fats! some fat will be absorbed. Is this true? Dear Dr Jocker, I am so happy to have come across these. It must have been heaven sent. I have a 130/90 daily bp and latest lab tests. Show high bad cholesterol and low good cholesterol! VG USANA supplement’s been recommended but vco is much2 cheaper. I will try the 3 1/2tbspn for a month and get myself checked. I hope this really works. I’ll let you know. Dear Dr Jockers, Thank you for the article. What would be the best time of day to have the tablespoons of EV Coconut oil? After food or on an empty stomach? And should one store the opened oil in the refrigerator? Dr. Kickers Glory ! Was SO HAPPY to find this well prepared informative article! Have been trying to get rid of extra belly fat and improve good cholesterol, so greatful for the tips ! Successful beat diabetes, now to get on board with this cholesterol issue woohoo praise Jesus you are a great man ! Would like to be here to see my grand baby start school … how did I never learn this information before ? Shocking I’m an RN ! Thank you very much doc you ROCK ! Great to hear that Kim! Blessings to you!